Build a content marketing machine and grow your SaaS company. Today, more content is produced than ever before, and that can make it feel incredibly daunting to try and succeed with content. But there’s a reason why there’s so much content out there: if you do it right, it works. I’ve run 7 different companies over the last 12 years. Two of my startups, Crazy Egg and Kissmetrics, make millions of dollars per year in revenue—and we did it through content marketing. In this eBook, I’ll take you through my tried and true system for writing great content, doing it at scale, and turning it into results. Learn the content marketing secret behind Kissmetrics. Build your content marketing assembly line from our survey of how 2,203 companies do it. 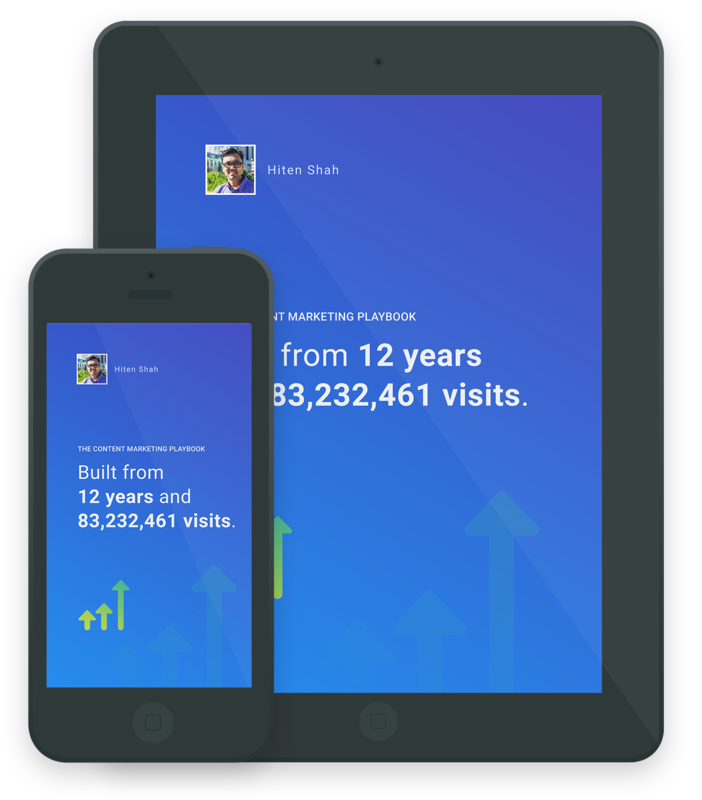 Real-world data on how your traffic sources break down as you grow from 150k to 15M yearly visits. Working with the world's smartest marketers.